YOU GUYS CANNOT BELIEVE HOW LUCKY YOU ARE! In fact WE still can’t believe how lucky you are! For all you sake enthusiasts out there, you will not want to miss the next sake tasting coming up this weekend. It’s our annual Joy of Sake Award Winners Sake Tasting with aGIANT TWIST! 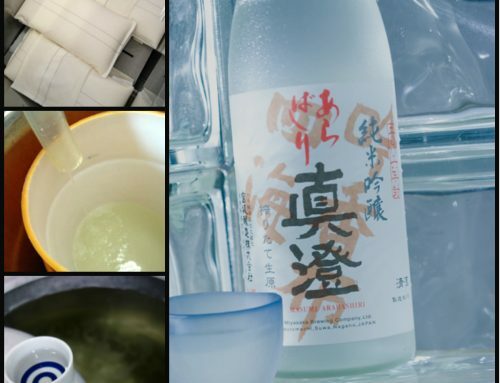 Not only will we be sampling Gold and Silver Award Winners from this year’s Joy of Sake, we’ll also be sampling for the VERY FIRST TIME … drum roll please … KOSHI NO KANBAI SAKE! For those of you who are already well versed in sake, you know what this means. For those of you who aren’t as familiar, let me break it down for you. 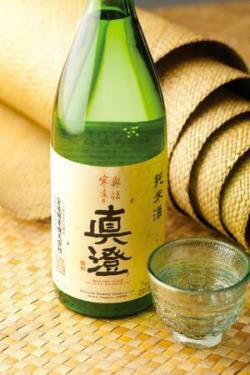 Koshi no Kanbai is a very famous, very prestigious and very awesome sake from Niigata prefecture. It is in such high demand that allocation is very limited in Hawaii. In fact, the importer normally gets only enough to barely meet the demands of the local restaurants here. Because of that, this sake is usually not available for retail sale and is considered a “restaurant only” sake in Hawaii. However, due to the extreme generosity of our friend and World Sake Representative, Mr. Yoshiharu Suzuki (and a lot of begging from us) we’ll be sampling Koshi no Kanbai this Saturday for the first time at the shop.AND, we’ll also have on hand for sale, a very LIMITEDamount of Koshi no Kanbai. This will be sold on a first come first serve basis, so when it’s gone .. it’s gone! Not to be out done by Koshi no Kanbai, we’ll also be sampling FIVE other award winners including Philip Harper’s Kinsho and Masumi’s high end Yumedono and Nanago! That makes EIGHT different sake that Yoshi will be pouring this Saturday! This is one tasting I don’t think you’ll want to miss. Refined yet full of flavor, “Kinmuku” has an evocative flavor to chew on. It has a slight natural sweetness and underlying it all, the taste and feel of clear, pure spring water. One of Nadine’s favorites! From the very first sip, this sake displays a variety of subtle, ineffable flavors, which converge and diffuse just on the edge of the mind’s awareness. 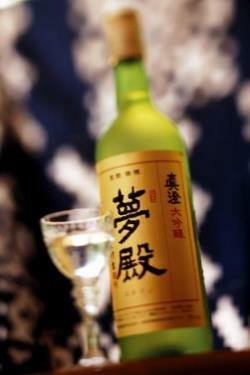 Its elusive nature has given Koshi no Kanbai the nickname “the phantom sake”. Muku possesses an imposing profile, with big taste and an intermingling of flavors that defies easy description. Medium-bodied, clearly balanced with a deep and satisfying finish. Our friend Phillip Harper’s masterpiece wins Silver again this year! Brewed by the only foreign brewmaster in Japan, Tamagawa Kinsho beings round and full flavored with gamboling fruit and floral displays joined by ripe fruit and grassy nuances. Glacial incrementations of flavor achieved by sub-zero bottle aging impart both silky viscosity and depth. Masumi Yumedono presents an array of flavor nuances that includes peach, melon and strawberry. Rarely does one sake combine so many taste sensations in a single cup … or finish so gloriously. 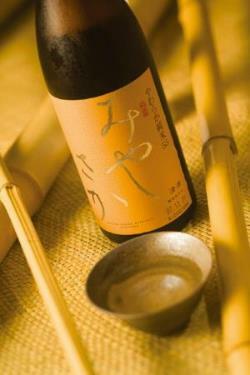 A lovingly nurtured redolently flavorful Daiginjo with an insouciant attitude: old style sake for the 21st Century. Brewed using the old Yamahai method. 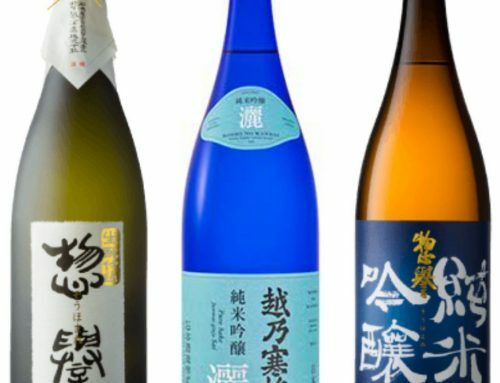 Longtime sake drinkers find this sake comfortingly familiar. It is smooth at first sip and displays a range of subtle, organic flavors as well as a pleasant natural sweetness. 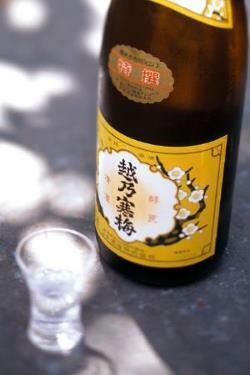 This charming junmai, with it’s faint taste of wild plum, represents a new direction for Japanese brewers. 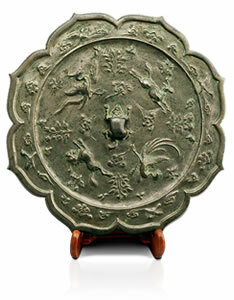 It is smooth and gentle, with sweetness and acidity in finely etched balance. 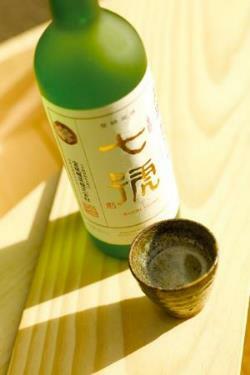 Ideal for lunchtime sake sipping. You won’t want to miss out on this Saturday’s tasting. Hope to see you then! The farmers of Kameda in Niigata prefecture where Ishimoto Sake Brewery is located, long brewed nigori-zake to earn extra revenue during the freezing winter months. 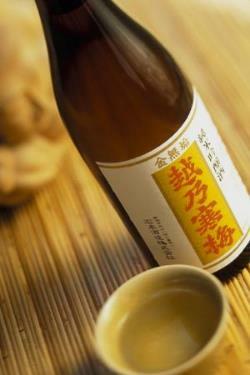 But in 1900, home brewing of sake was prohibited by law, which brought a halt to their activities. In response, Ryuzo Ishimoto, wanting to offer the citizens of Kameda the opportunity to drink their traditional beverage, started a brewery and named his sake Koshi no Kanbai, which means “plum flowers blossoming in the winter cold”. The foundations of the brewery’s reputation today were laid by the 2nd generation brewery head, Seigeo Ishimoto. He began using rice purchased from Okayama and Hyogo. When digging in the backyard of his home, he also discovered a source of water that he felt would be well suited for sake brewing. The results of these efforts was the top prize at a national contest for alcoholic beverages held in 1926. In 1913, due to wartime need, Ishimoto Sake Brewery was ordered to produce rations for the military. Consequently, the brewery began making wine, and an official appraiser of the Kanto-Shinetsu Regional Taxation Bureau, Tetsuro Tanaka, came to oversee the switch. This encounter would have a profound effect on the brewery’s subsequent history. 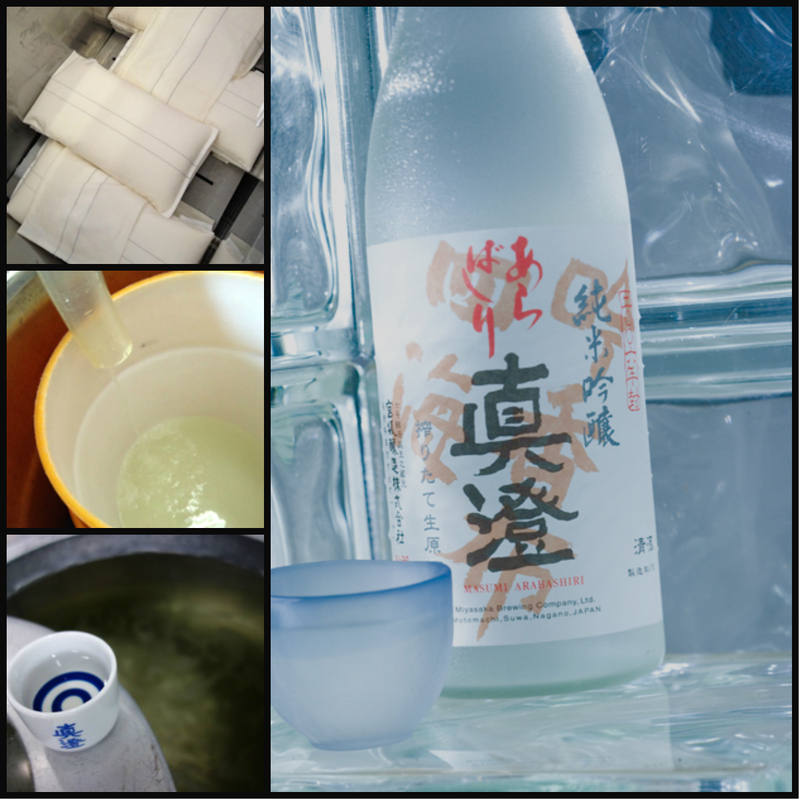 Ishimoto and Tanaka became determined to brew an ideal sake, without making any compromises. They continued working to perfect Koshi no Kanbai. 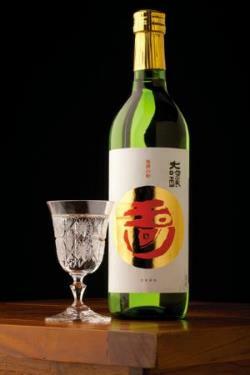 Eventually this sake became appreciated by connoisseurs and Dr. Kinichiro Sakaguchi recommended Koshi no Kanbai at a German party, where a European wine would have been the conventional choice. In a time when heavy, sweet sakes were the norm, Hisako Sasaki, the editor of sake magazine was fascinated by the robust dry taste of Koshi no Kanbai. 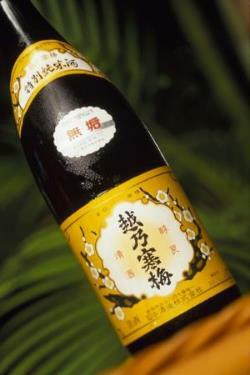 Sasaki introduced it to her readers, recommending it as an unconventional sake. Her enthusiasm encouraged weekly mass market magazines to feature Koshi no Kanbai, further boosting the sake’s popularity and earning it a strong reputation that it retains to this day. * All of the preceding information regarding Koshi no Kanbai was obtained from the book “Sekai ni Hokoru “Kokushu” Nihonshu. 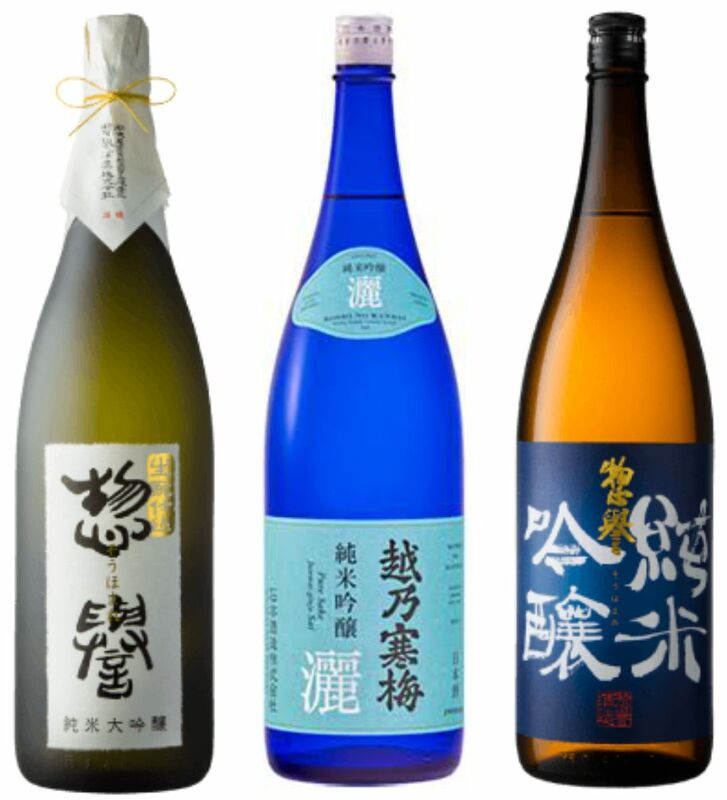 Four of the award winning sake we’ll be sampling this Saturday are from Miyasaka Sake Brewery in Nagano prefecture. They include Masumi Yumedono, Masumi Nanago, Masumi Okuden Kantsukuri and Miyasaka Yawaraka. 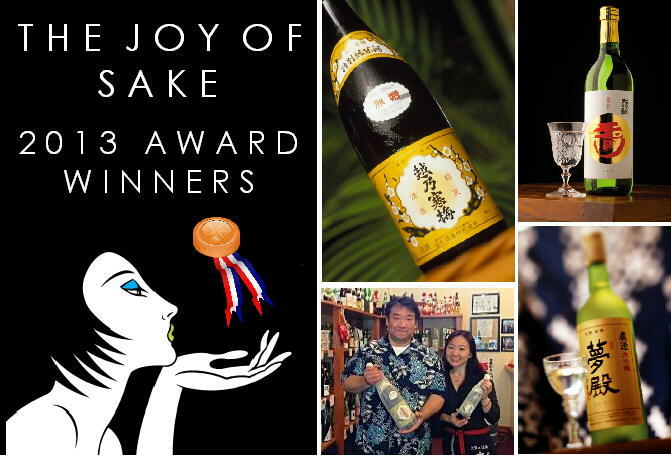 Our friend Philip Harper’s Kinsho sake won a silver award at this year’s Joy of Sake. We were really hoping he would win gold again, especially since the English name for his sake is “Heart of Gold”! 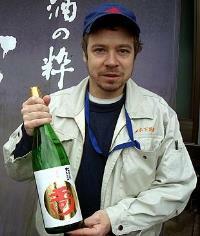 Philip holds the distinction of being the only foreign sake brewmaster or “toji” in Japan. Originally from England, he went to Japan in 1988 to teach English with the JET program. It was during this time that a teaching colleague introduced Philip to sake, which he totally embraced and fell in love with. After his commitment to the JET program was up, Philip ended up staying in Japan, eventually working as a laborer in a sake brewery. In the following years, Philip worked his way up from laborer to eventually passing the Nanbu Brewer’s Guild Exam in 2001 and became the first and only foreign sake brewmaster in Japan. 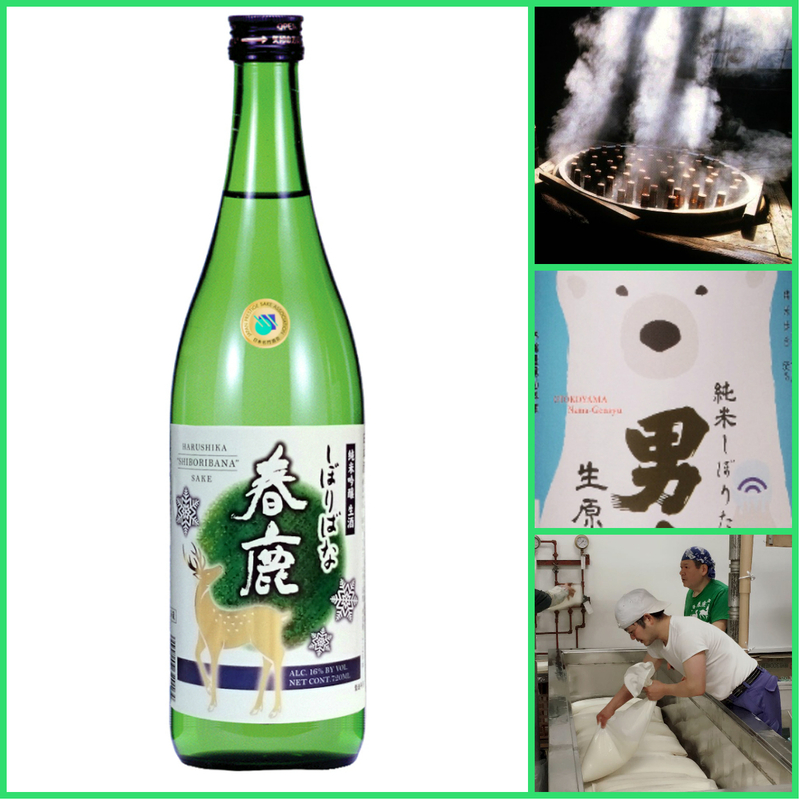 We’ll be tasting his award winning “Kinsho” sake this Saturday. 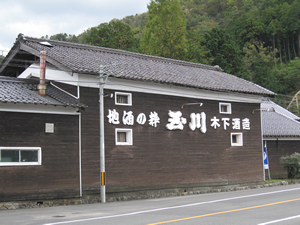 Kinoshita Brewery is located in Kyoto prefecture and was originally founded in 1842. They produce Tamagawa sake which translates to “Jewel River” in English. In 2007 their brewmaster passed away after 48 years of service. The owner, Yoshito Kinoshita, considered closing the brewery but instead took a chance and made some bold changes to revitalize his business. First, Mr. Kinoshita had his brother-in-law create a new design and logo for the brewery. Then, he hired foreign brewmaster, Philip Harper, to take charge as their new toji. The gamble paid off immediately as Philip Harper’s Tamagawa Kinsho won gold at the prestigious Japan National Sake Appraisal after his very first season at the brewery. Many of you had the opportunity to meet Mr. Ryuichi Yoshida from Tedorigawa Sake Brewery at our recent “Meet the Brewers” Sake Event at the Plaza Club. You may have also heard about the movie that is being made about Tedorigawa called “The Birth of Sake” by Erik Shirai. 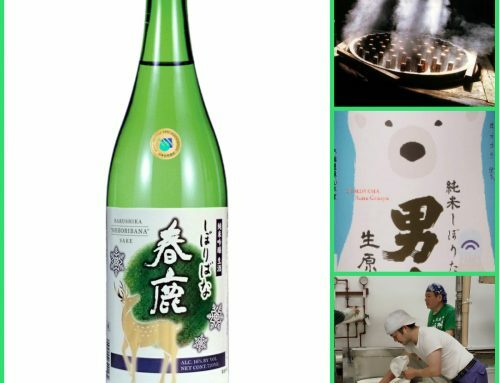 The movie maker is trying to raise additional funds to complete his movie, and he’s using Kickstarter, an online fundraising platform to reach out to other sake lovers for help. There is just one week left for him to reach his financial goal, but he’s still a little short of success. Any support that you can give him would be much appreciated. You can click on the Kickstarter logo above and will be taken to the Kickstarter site with information about Tedorigawa’s movie and how to donate.